Marley Brooker – The Vapors (Relentless Remix) (Feat. 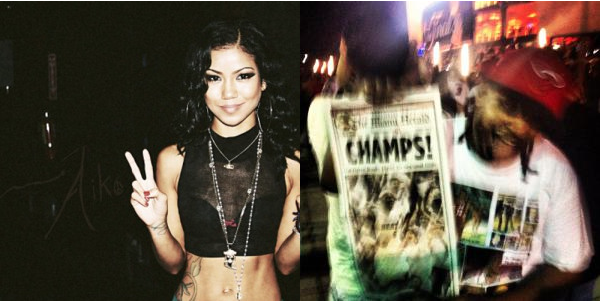 Jhene Aiko) #MarleyMondays – Are U Relentless? Heartbreak Marley is scheduled for release in 12 days. It contains a collection of previously unreleased recordings and new songs that reflect the different aspects of heartbreak Marley has experienced or caused. Check out Jhene’s “The Worst” music video. This entry was posted in Art, Music, News, Songs, Videos and tagged Heartbreak Marley, Jhene Aiko, Marley Brooker, MarleyMondays, The Vapors. Bookmark the permalink.